Courtesy of Rankin-Bass. Kirby the elf-turned-dentist was such a great character. I was reading a post by 40 is the new 13 about the old Rankin-Bass Christmas specials… you know, Santa Claus Is Coming To Town, The Year Without A Santa Claus, and the like. We used to schedule our December evenings around those television “events.” By the time I was seven and able to use reference materials, I’d scour the TV Guide beginning that first week in December to make sure we knew well in advance when those specials were going to air. Because, if you’re midlife like me, you know that if you missed it, that was it. You’d have to wait a full 12 months to get your next chance. It’s middle-age sport to compare the now to the then and pick the world apart for the advancements that really aren’t. I try to do this as little as possible. No one can convince me that there was ever a genuine Golden Age. Progress isn’t always good, but it isn’t always bad either. Yet one thing I miss is the “one-chance-only” aspect of television that existed before VCRs-then-DVDs-then-DVRs-then-streaming video. 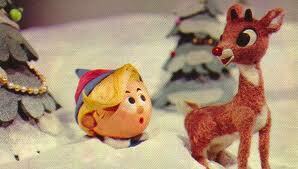 When the Cold Miser and his brother came along, Rankin-Bass really got interesting! To be specific, I don’t miss it when I catch up on House Hunters. I like being able to record and keep six episodes at a time for laundry-folding marathons. I miss it when the holidays come, because a part of the (secular) magic of the holidays disappeared when these Christmas classics started being sold at the check-out aisle in Target. 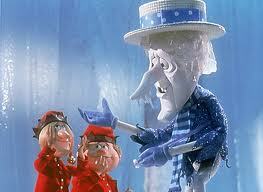 Now, the Heat Miser, Meisterburger Burgermeister and the Misfit Toys have no boundaries. These guys can show up anytime, anywhere there is a DVD player. A few years back I was thrilled to introduce my kids these holiday specials. They weren’t impressed. And without the build-up, I was moved primarily by the memory of loving these shows. It just wasn’t the same knowing that if we didn’t catch it at 5 p.m. on Saturday, we’d have our second chance at 2 p.m. on Sunday. And we could always just go out and get the DVD. When I discovered this on CD years back, it was as if I found buried treasure. 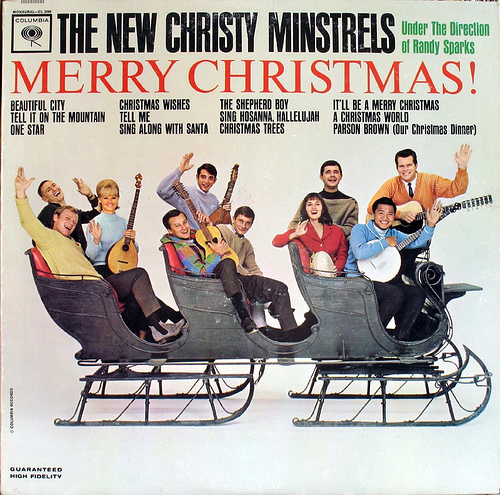 The other day, my son asked to hear an album (not the vinyl kind, of course) of Christmas songs that has become a tradition to a 3rd generation in our family, the New Christy Minstrels Merry Christmas!. (Please give a shout out if you know it, because I’ve encountered so few who do.) It was November 23. And I said, “No. Black Friday is not the official beginning of the December holidays.” We’re not playing it until December 1. And we will cease on December 29, when we visit my side of our extended family for the holidays. Progress may mess with my Rankin-Bass tradition, but it won’t take away my New Christy Minstrels. This entry was posted in Totally Random and tagged Christmas specials, Heat Miser, Land of Misfit Toys, Meisterburger Burgermeister, New Christy Minstrels, Rankin-Bass, Santa Claus Is Coming To Town, The Year Without A Santa Claus, TV Guide.